B.J.’s Barge offers multiple buoy block configurations to best suit your needs. Our standard block size is 1500lbs, able to hold boats up to 23 feet in length. 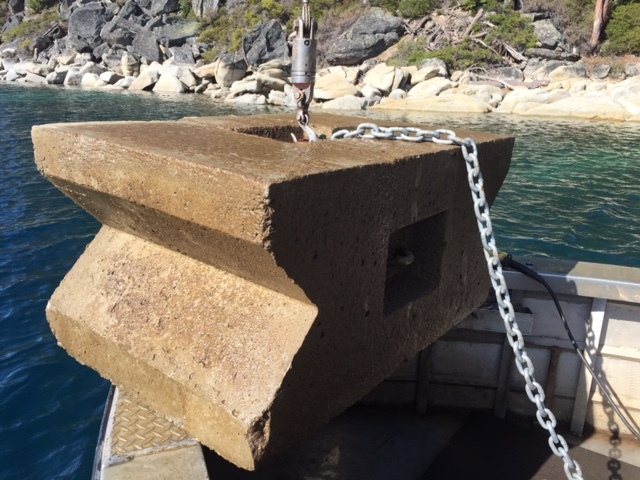 For vessels between 23 – 27 feet, we recommend a 2500lb block for added security. Vessels larger than 27 feet require a deadman system, multiple blocks connected in series. Let us know what your situation is and we will use our experience to determine the best option for you.